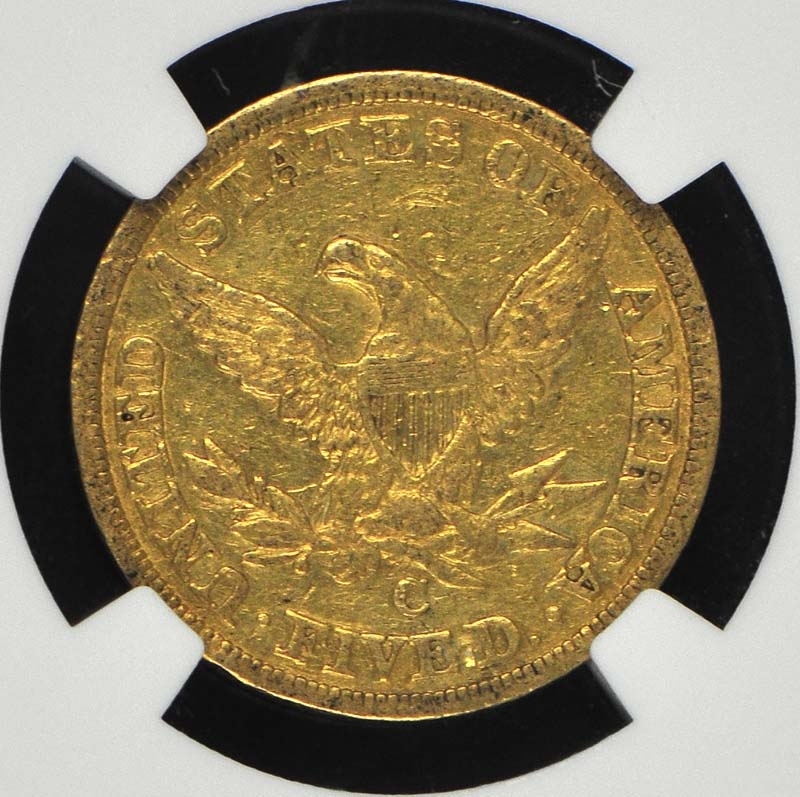 The 1848-C half eagle is a scarce coin in any grade. 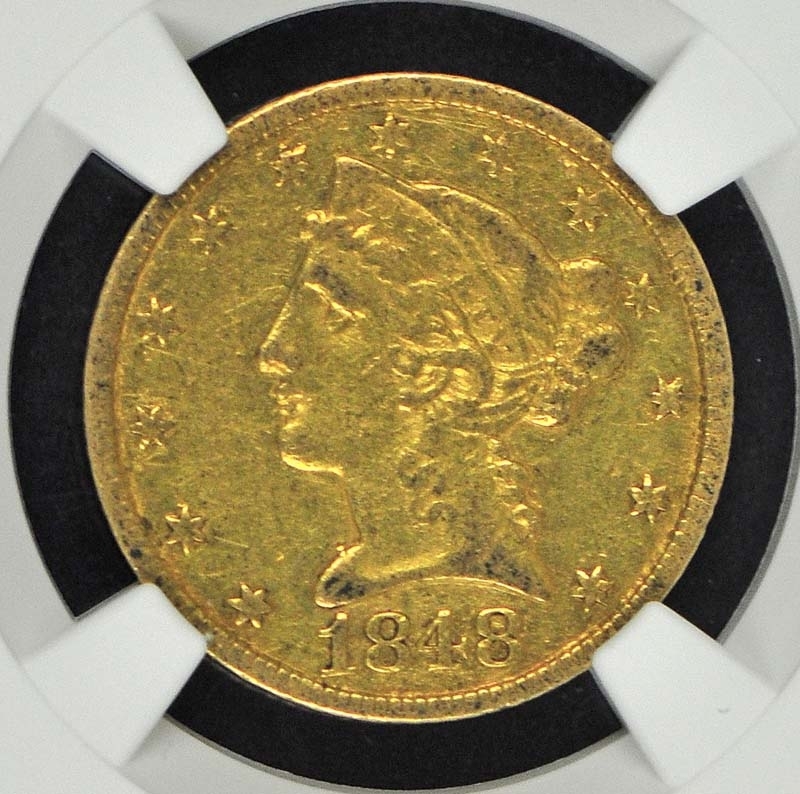 Most of the 1848-C half eagles offered for sale are only Very Fine or Extremely Fine. This date becomes very rare in grades of About Uncirculated or better. 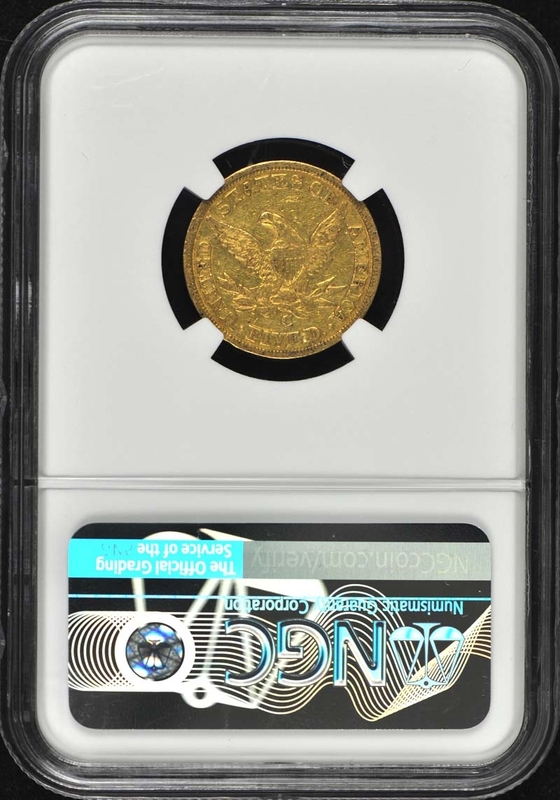 For many years the 1848-C half eagle was thought to be unknown in Mint State. 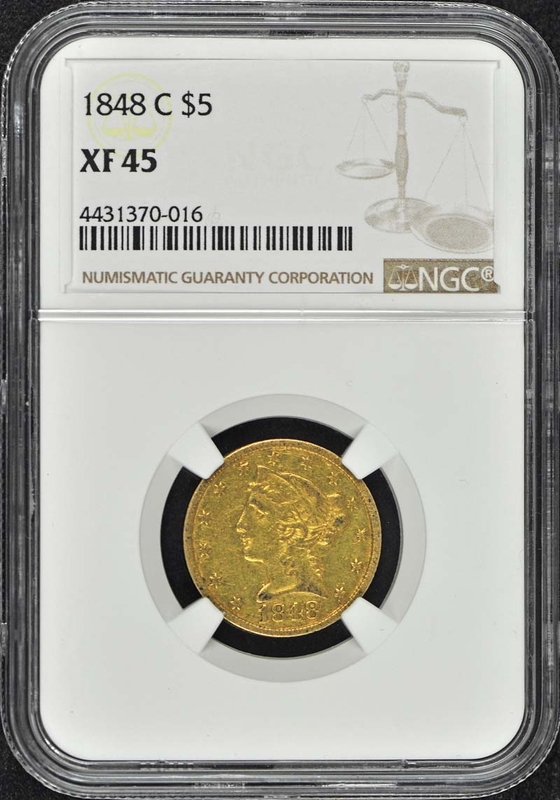 The subsequent discovery of a few examples has brought the population of Uncirculated specimens to about 10 coins. The two finest examples are both from the Harry W. Bass; Jr. collection and the Elrod Collection. Both examples have been graded MS-64; but the Bass coin is clearly superior in the authorsí opinions. The Bass example sold in 1999 for $50;600.